In versions of FileMaker prior to 13 developers have used creative methods to hide objects on layouts. Using conditional formatting and making the font size 300 or higher has rendered the text invisible to users given certain conditions. 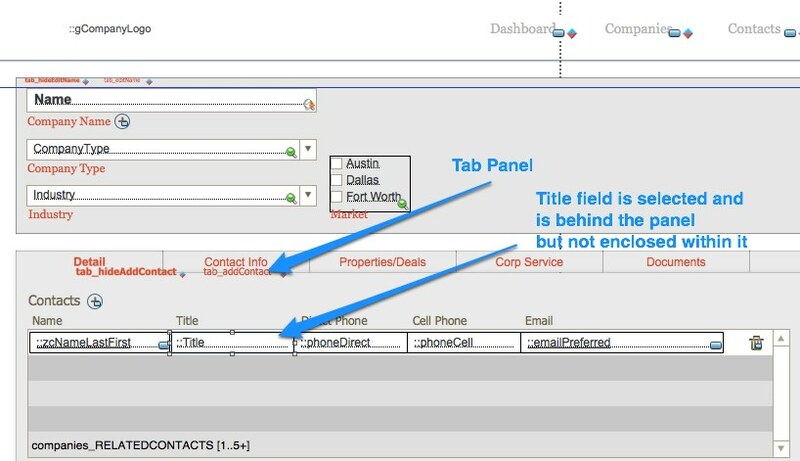 Hiding tab panels by making them “invisible” required more creative options, which applied only to tab control panels, and generally applied to an “all or nothing” state. Conditionally hiding objects not only is easier in FileMaker 13, but applies to a wide range of objects, and enables greater flexibility when to hide and show objects. The new object behavior method in the Inspector applies a Boolean (true or false) condition to show objects. Although this means that the visibility state of an object can change on the fly, in order to trigger this change it needs to be prompted by a Refresh Window or Refresh Object action. Objects hidden using this new method are identified with a new “badge” in layout mode, an icon that looks like an eye when enabled in the View menu. 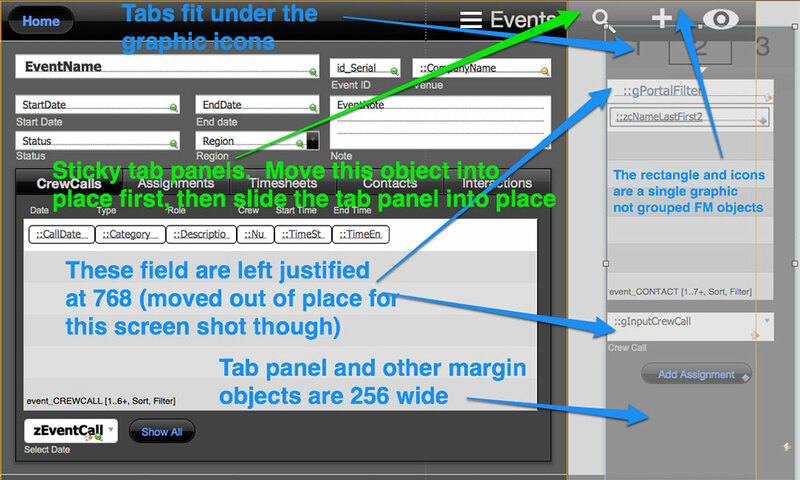 While using an “invisible tab panel” method (see above) appears to work, it requires far more effort than the newer method. 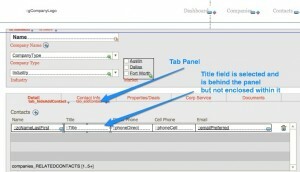 First, the prior method requires that each tab panel have the same conditional formatting. Then, each state of the panel (Active, Inactive, Hover, In Focus) must be considered. Borders must be removed. Each layout themes may have additional considerations that need to be taken into account. Inconsistencies may appear if the solution was created in 12, then opened in 13, with strange artifacts causing tab panels to display. Also, if created in FileMaker 13, occasionally the text on the table panel in layout mode appears only for the active panel, and in find mode some of the panel’s text might also appear. Using the hidden object attribute not only works on text and tab control panels, but also other objects like portals and fields. These become completely invisible when the condition is true. For tab panels this is an all-or-none deal – hiding one tab results in all tabs being hidden. Table view will not hide objects – fields become visible if the user switches to this view; conditionally hiding obejcts is not intended as a new security model. 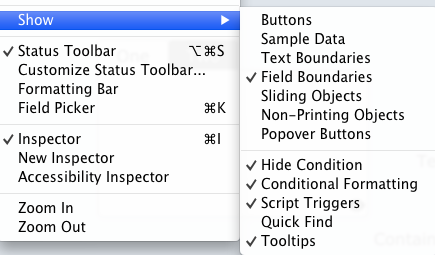 Scripts can still go to hidden objects, rendering the FileMaker 12 hidden tab method obsolete. Individual objects can be hidden inside portals. Annoyed by icons appearing in portals where there is no data? Hide them. The new method gives developers more control in terms of conditionally hiding or displaying text and objects on layouts. Rather than using a series of work-arounds we now have native, built-in behavior. FileMaker 13 brings with it many new innovative features. 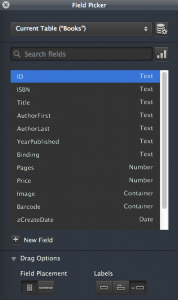 Building on the new design space innovations created in FileMaker 12 and a continued focus on database tools for mobile, FileMaker 13 offers a new layout object dubbed the “Popover Button”. You may recall some months ago I wrote about pros and cons (mostly con) of using tab panels to hide and display pop-up content to assist in data entry and display. Well, now that rather kludgy technique has been rendered mostly obsolete with Popover Buttons. A Popover Button is a new layout object that creates a pop up within which you can place layout objects. This design pattern is seen frequently in the software, web, and mobile design worlds these days, and we are glad that FileMaker is keeping up by providing a simple tool to create this effect. What’s more, Popover Buttons can be used across the FileMaker platform: they work in FileMaker Pro client, FileMaker Go, and through a browser using Web Direct. 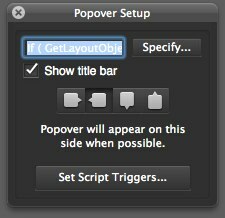 True to FileMaker form, creating Popover Buttons is simple. They are created from the Toolbar object that also creates buttons. You can simply click and hold to toggle between Button and Popover Button. Selection of one of four preferred “directions” to display the popover. Note that a popover will display in a different direction if required to by the window size. 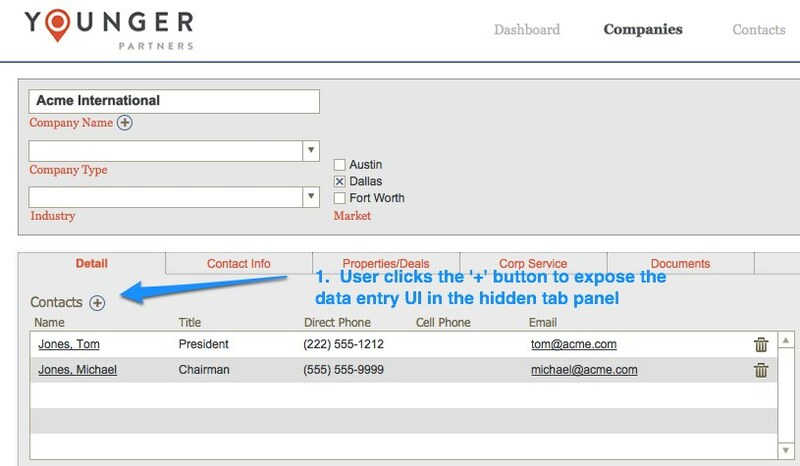 Popover buttons are just one of the features that enhance the user experience in FileMaker 13. We are also looking forward to using Slide Controls (for iOS swipe gestures), iOS Keyboards for FileMaker Go data entry, and FileMaker Go native barcode scanning. FileMaker 13 introduces a new option in layout mode, which both enhances the design process and also speeds up schema changes. All this happens via the new Field Picker, a heads-up display into the fields for the current active window. 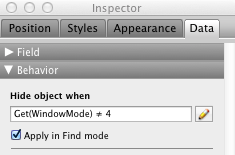 Unlike the Inspector, only one instance of the Field Picker window can be opened. 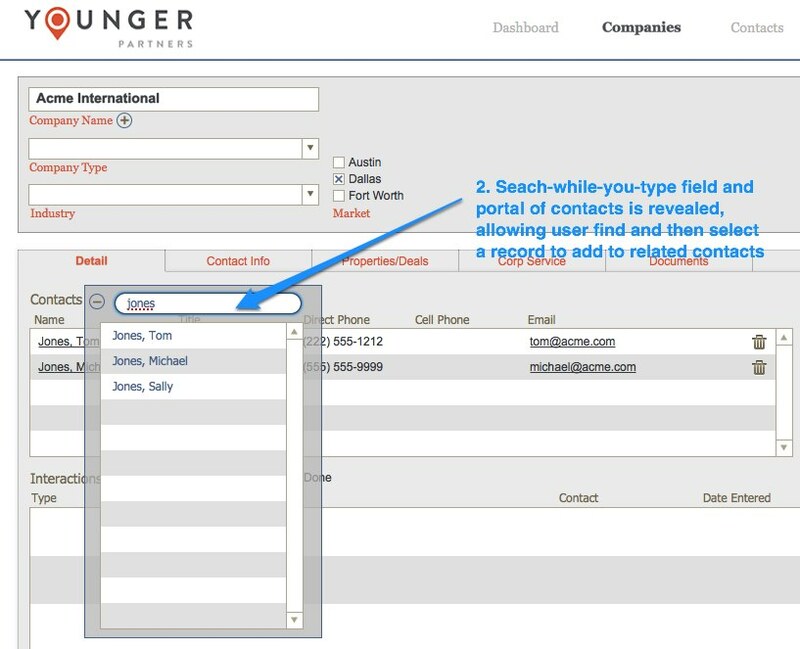 If you have multiple FileMaker windows open, with layouts based on different table occurrences, when you switch windows the Field Picker will update to show the fields available to the active window. You cannot drag fields to inactive windows, so there’s no chance of dragging fields to the wrong layout. Fields can be filtered by name, which is a good reason for consistent field naming. Although you have virtually all the field options that you need, you can launch the Manage Database from the picker window. This makes the picker inactive until you close Manage Database. So much can now be accomplished in the Field Picker, that this becomes one of the coolest developer tools in the new version. Not only can you add new fields, select field options (figure 4), and change the sort order for fields, but you can drag and drop selected fields directly onto a layout. Plus, you can determine whether you want labels, and if you want these to the left or above the fields. 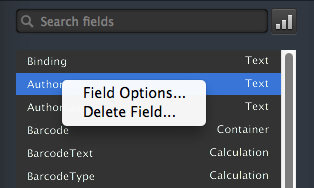 No more double-clicking on fields to add a label if the Specify Field dialog didn’t have this checked. 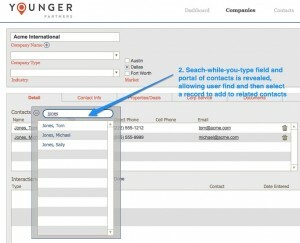 You can also position fields vertically or horizontally when you drag them onto the layout. In short, you can tuck this picker to the side and work merrily away on the layout without having to bring up Manage Database unless you need to change something in the Relationships Graph or create a new table. The only puzzling aspect to the new field picker is that Filemaker, Inc. did not refresh the design of the Inspector palette (figure 5). The look and feel of the two now seems to clash, with the red/yellow/green buttons for the Inspector and its light gray color, and the simple X for the Field Picker and with a much darker (yet somewhat transparent) shading. 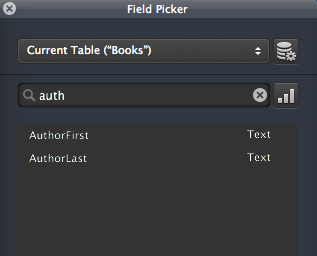 For developers and users, this new field picker once again improves FileMaker’s Rapid Application Development view of the database world. Thought I would share a quick tip that I learned while working on a mobile database application for a customer. 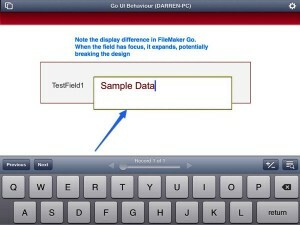 Naturally there are many user interface behavioral differences between the desktop and mobile versions of FileMaker. This one involves the display of a field when the field has focus. 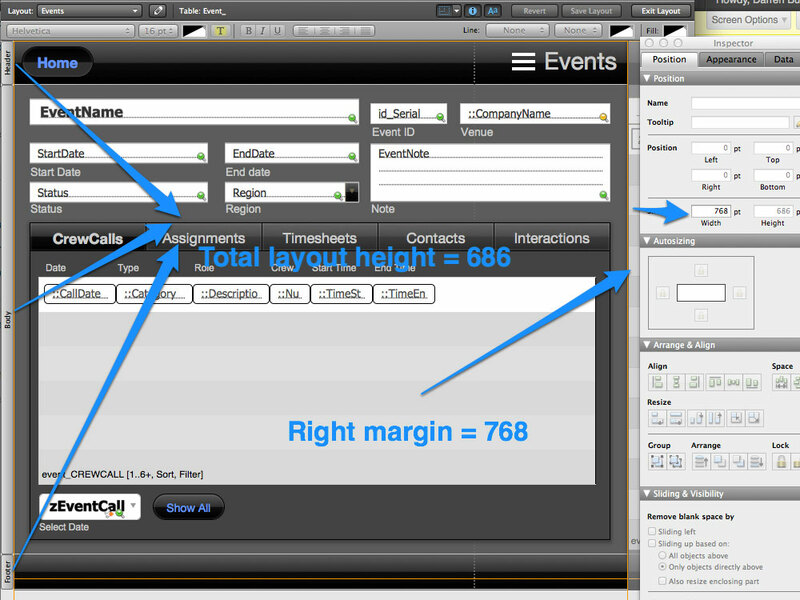 Here are two screen shots of the same layout as displayed in FileMaker desktop vs. Go. Note, that when the field has focus in Go, it mysteriously expands. There may be a legitimate purpose for this behavior, however it may also break the design of the layout on the mobile device. It also represents a departure from normally expected UI behavior on a mobile device. In my work with mobile FileMaker applications, I strive to have the database behave as closely as possible to what users normally expect from iOS apps. Fortunately there is a simple fix for this. 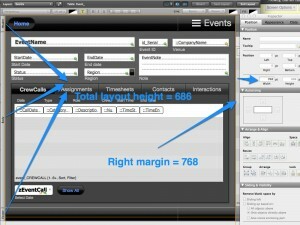 Simply apply a vertical scroll bar to the field using the layout inspector (data tab – “Include vertical scroll bar”). 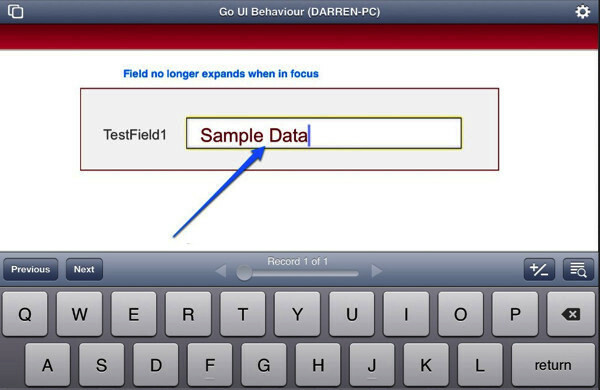 Then set the line characteristics for the field to “None”, to prevent the vertical scroll bar from displaying. 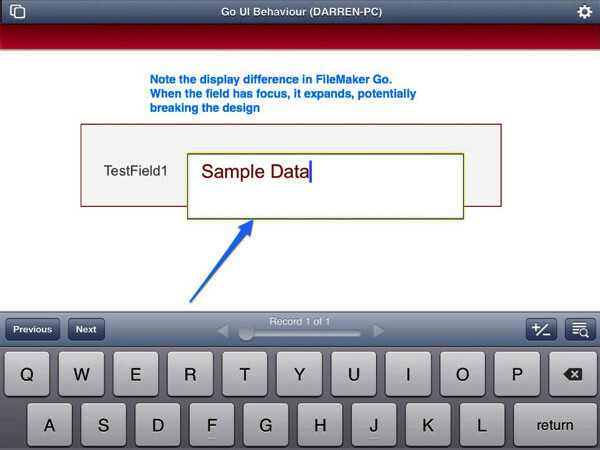 Now, in FileMaker Go, the field no longer expands when it has focus. Do you have any other simple FileMaker Go tips that help in development? If so, share them in the comments! In this session from the 12 Days of FileMaker 12, we explore new accessibility features that make it much easier for the blind and visually impaired to use FileMaker Pro. 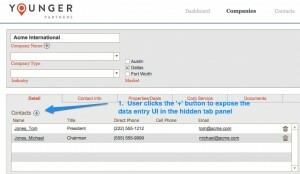 Our FileMaker solutions often show us how to use them. New tools in FileMaker Pro 12 allow developers to make your applications “show” blind and visually impaired users how to use them through screen readers. Whether you’re using FileMaker Pro to build an application for a school, business or distribution, you need to leverage the screen reading services built into today’s modern operating systems. Topics include an overview of accessibility technology, how to add accessibility text to layout objects in FileMaker Pro 12, general guidelines for writing accessibility hints and how to test accessibility text in FileMaker Pro 12. Chad Sager’s formal education was in the fine arts in Milwaukee where he received his BFA as a painting major. He moved back to his hometown of Houston to work at an art gallery and practice as an artist. His interest in technology took shape using FileMaker Pro to build an inventory and invoicing application for the gallery. A grant from the Dallas Museum of Art led him to Philadelphia (in a roundabout way), where he began working for IT Solutions in 2006. Chad has developed applications in multiple technologies, including iOS, SQL Server and .NET, and of course FileMaker Pro; where he has built and supported one of the largest FileMaker applications at IT Solutions over the last three years. Among Chad’s accomplishments since joining IT Solutions, a Platinum level member of the FileMaker Business Alliance, are certifications in FileMaker versions 8 through 11, and SQL Server 2008 Developer. 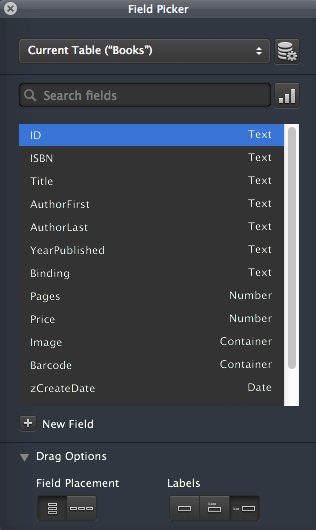 When files are open in a new version of FileMaker, there are changes to the layout appearance. Objects will use the default themes of a layout, or round or gradient themes styles appear. In this session from the 12 Days of FileMaker 12, we look at the new applied theme control, default themes, and the new assistance tools. Sameer Khan is a FileMaker 9-11 Certified Developer and Authorized Trainer employed by Anvil Dataworks, a development firm outside of Washington DC. He has been working with FileMaker for over eight years. His students say that he is an interesting person and a knowledgeable teacher. Table View might just be one of the least appreciated features in the FileMaker Pro product line. True, it has hardly changed in versions 7 through 9, and the changes in 10 were welcome but fairly simple. All that changed in 11 with the addition of two bold new features that allow a developer to create a table quickly and perform summary analyses, all without ever leaving the comfort of browse mode. FileMaker 12 brings welcome refinements to this important family of features and makes Table View a tool worthy of a fresh look. In this session from the 12 Days of FileMaker 12, we explore practical uses of Table View and showcase changes to it. Mark Richman is the CEO and founder of Skeleton Key, a FileMaker Business Alliance Platinum level member based in St. Louis, Missouri. He leads a team of Certified Developers and an IT consulting division in providing multi-platform development and technology consulting for customers in a broad array of markets. He is certified in FileMaker versions 8 through 11 and an Authorized FileMaker Trainer. When Mark isn’t running his company or wrestling with his four sons, you can find him writing TechNet articles for FileMaker Inc.; speaking at the FileMaker Developer Conference; or evangelizing about how to get the best performance out of your FileMaker application. FileMaker 12 provides powerful new features to align, position and manage objects on your layouts.In this session from the 12 Days of FileMaker 12, see how these powerful new features will help you design more consistent and graphically pleasing application. This video walks through a review of the new features and how they can be used to balance your layout designs and improve workflow. John Mathewson is President and co-founder of KyoLogic a custom software development firm in Westport, Connecticut. He is an organizational design expert and works to create systems that improve productivity and increase business intelligence. Since 1986, John has developed database applications in Visual FoxPro, MySQL and FileMaker Pro. He is a certified FileMaker 7, 8, 9, 10 and 11 developer.